Although private practices have their fair share of patient files and information that they need to track, store, and share, hospitals that have hundreds of beds and thousands of patients have an entirely different set of issues. 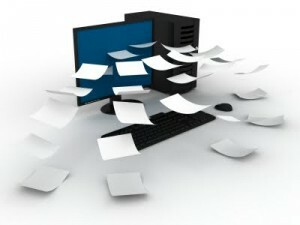 Medical Records Scanning works the same way for hospitals- you take paper files and convert them to digital format. The biggest difference is volume and the urgency required for patients. Hospitals need access to critical patient information to ensure that they take the proper actions in case of emergencies, and to ensure consistent, ever-improving patient care. To do this, many healthcare networks have integrated Electronic Medical Records to help handle the sheer volume of paperwork that administrative staff, nurses, doctors, and even patients have to manage. Record Nations has the connections to find a local document management company to help improve your processes, eliminate paperwork, and maximize the resources you have. Don’t spend time sorting and re-filing patient records- go paperless and ensure that your hospital never misplaces a patient file. OCR gives you the ability to search and index every aspect of your files with a quick keyword search, eliminating mistakes and improving productivity. Utilize Optical Character Recognition (OCR) and data extraction to ensure your records have accurate information and can be modified or edited quickly and easily. Record Nations finds experts that take the time to help your organization reduce operational costs, improve patient care, automate hard-copy processes, and ensure HIPAA compliance. Patient files and clinical records aren’t the only thing that could be converted to a digital format. Accounting files, personnel files, and critical or commonly-used forms can all be added to a document management system to help streamline your processes and eliminate all the paper in your office. 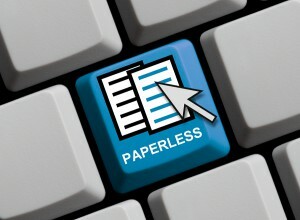 Let our experts help relieve you of paper files forever! Record Nations can ensure that you are hiring a medical record imaging provider who will handle your project in a secure manner. From patient record conversion to helping you pick out the right EHR system for the size of your practice, we’re the experts. Our network of professional medical records scanning providers are ready and capable of handling your sensitive records.